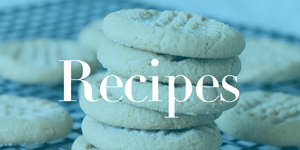 Home / Freebies / FREE Recipes and Coupons Newsletter from Ready, Set, Eat! FREE Recipes and Coupons Newsletter from Ready, Set, Eat! Are you stuck on the same 10 meal cycle? I sure am! Get some great new meal ideas and sign up for this FREE Recipes and Coupons Newsletter from Ready, Set, Eat! It is as simple as signing up for FREE and you will get quick and easy recipes, meal tips, exclusive coupons and local savings in your email! I always love getting new ideas for dinner and when they are FREE I love them even more! We have a lot of great free stuff posted! Check out all of the FREEBIES we have listed today! you still care for to keep it sensible. I can’t wait to read far more from you. This is really a tremendous web site. FREE Paleo Recipes & Cookbook for your Kindle App!